I promised to shout it from the digital rooftops the moment I had more news, so here it is: the Fallen movie is coming to the United States! The film will be out in theaters on September 8th. You can also watch the movie on-demand TODAY or purchase the DVD or Blu-ray on October 10th. The DVD edition will have some amazing bonus materials, including “The Making of Fallen,” featuring interviews with “Fallen” me, director Scott Hicks and stars Addison Timlin and Jeremy Irvine; “Missing Footage from Fallen,” which includes deleted and alternate scenes; “Lauren Kate: The Author’s Blessing,” in which I share my personal experience of seeing the novel come to life on screen; and, finally, “Meet The Fallen,” featuring the film’s cast on set as we learn about their on-screen chemistry and what it took to bring their characters to life. Download the movie on iTunes here! Download the film or pre-order the DVD on Amazon here! I’m so excited to finally share the film version of Luce and Daniel’s love story with all my American fans. So excited and happy for the American fans. Any idea when it’s coming to Canada or what us Canadian fans need to do to bring it to our country as well? I imagine you would be able to at least buy the movie come Oct 10th. Same question here!!! Please bring torment to film!!! How did you watch the movie? Is it on demand? Under what category? Yes. It is on OnDemand just under the “Movies” and then “New & Most Popular. It is $9.99. It is very good, I just finished watching it. His name is not Lucifer anymore it’s Satan. The beautiful angel Lucifer sinned, rebelled against the God of Heaven and became cursed and his nature was changed to that of a destructive being now called Satan and the Devil the slanderer. This is no fairy-tale story. Lol that lovely Morning Star XD Ave Satanas. Ave Domini Inferni. LOVED THE MOVIE!!! AND LOVE EVERY SINGLE BOOK 🙂 CANNOT WAIT FOR A PART 2 IN THEATERS!!! Daniel is my fav but I like cams bad boy side . IS THERE GOING TO BE MOVIES FOR THE REST OF THE BOOKS ??? I loved the movie and I hope there’s going to be flms for the rest of the books. My fav is Daniel but I like how Cam gets all cute and softy for Luce in a little way. I am dieing to know!!! Are there going to be sequel’s???? I absolutely LOVED the book series and just watched the movie I’m dieing to see the next!!!!!! I am dieing to know!! Are there going to be any sequel’s??!!! I absolutely LOVED the books and I just finished the movie and I can NOT wait to see the next! Please say it’s coming!!! Thank you for blessing us with the fallen series! It is AMAZING! 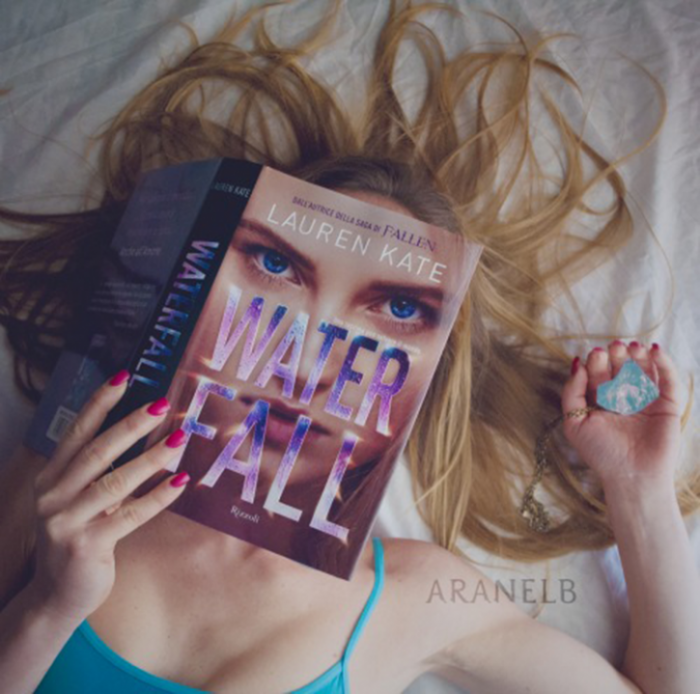 I LOVE the Fallen books as well as the Fallen film! PLEASE PLEASE PLEASE make sequel films! YESSSSSSS!!!!!!!!!!! I AM SO EXCITED!!!!!!!!!!!!!!!! THANK YOU!! I LOVE FALLEN!!!!! I AM SO READY TO SEE IT IN THEATERS!!!! THANK YOU FOR THIS SERIES AND FOR THE OPPORTUNITY TO SEE IT!!! So excited to see this on film ! When is the next ? I want more lol ! Really great job ! Just watched this on demand, now I am gonna get the books…. Movie was great, hook line and sinker but wanting more movie already. I live in herrin, il. Is the movie coming to marion or Carbondale il ? Is there going to be a squeal????? 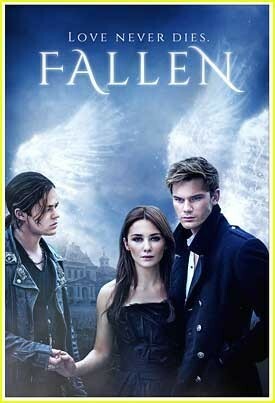 I loved the book series and just recently saw on a movie channel the movie “Fallen”. There seems to be 3 of the movies. I watched and said I don’t remember this being what the books were about. Still about angels and demons just not the same. Is there a different Fallen movie that is out besides yours? I’ve seen that before 🙂 that is also called ‘Fallen’. It’s another fabulous series about Angels but is very different from Lauren Kate’s lovely book series and film. It is a 2006 ABC Family miniseries based on the four-book series of novels by Thomas Sniegoski ‘The Fallen’, and is broken into three parts. Was not a fan before, i must confess found the movie cause i was bored. So i rented and watched. Now im in love with the series and will buy the books i must know how it ends, but i still want the rest of the movies, hopefully there will be more movies right??? I dont read the books but i saw the movie and i love it, theres only one? how many books are? will there be anymore movies from the book series? I just bought the movie yesterday. So excited that it finally was released in the US. OMG I loved it! Everything was just as I pictured it when I read the book. I really hope that the sequel is made and so on…ugh please!!!! I love the movie for aure i just can’t wait for the next! I’m so happy there has been a movie created. The books are amazing! I am wondering if it will be released in Australia? So keen to see it. I AM SHOOK!!!! I have watched the movie but I just watched the trailer and it mand me so angry it shows like how they meet in the trailer and it’s not the same as in the book. Also they like combine concepts from other books. Like how Luce doesn’t really figure out that she has had past lives with Daniel really until the second book. She finds out a lot more about the curse until later. They get it all wrong and I refuse to watch the movie because this is my favourite book series ever and it would just ruin it. I highly recommend watching the movie with caution. Omg! Yes girl!!! I agree with you. Major disappointment and I would not recommend to anyone. Ugh I had such high hopes for this movie. okay, HUGE fan of the books, read them all more than once. I was super excited that they were being turned into a movie , could not wait to seee rhese characters on the big screen. However, to my surprise the movie was absolutely HORRIBLE! Poor quality and extremely bad acting. Everything is so jumbled together that you don’t even understand what’s going on unless you have already read the book. Even the ending was terrible. Absolutely disappointed!!! If there is a sequel I hope on all everything it’s a major improvement. Even twilight wasn’t that bad! Same! When I heard that it was going to be a movie I was so excited. I have read the series 3 times over, and it is by far my favourite book series of all time. It was such a disspointment. I would hate for anyone to watch the movie and feel the same way. So people before you watch the movie and become disappointed make sure you watch the trailer first. So at least you can decide for yourself if you are willing to watch the movie or not. I am on book five and love this series so much! I wish you would continue it! See what happens to the other angels and Daniel and live. I love their story and can’t get enough! Me tooo!!!!!!! This is my favorite book series by far! Any idea when the movie or DVD will be available in Australia? hello, will there be a release date in France of the film fallen? I just watched Fallen here in the United States on Hulu and loved it when is Torment coming out? I just got to watch Fallen on Hulu OMG I loved it!!! The guys were gorgeous and the girls did a really good job. I cant wait to see what comes next. Please Please Please tell us there will be more. Is there any update on a second movie? I’m dying to watch more! Just as hooking as the books were! Omg I loved!!!! Please make a sequel please!!! This is one of my favorite book series. When I saw the trailer for FALLEN I lost it. I just watched it finally and would really love if the rest became movies too and became available in the US because I am OBSESSED! I’m gonna have to reread the books now til then! Do you know if there is a second movie? Is there a second movie????? Not only do I have the 4 books, I have bought the movie and still watch it on Hulu. Love your work waiting for movie 2. I need a second movie, please. I loved Fallen. Please make more! When is the second movie coming out?? Great first film and loved the books! !